The first three seasons of the series are currently streaming, with Season 3 featuring new characters including Gloria Estefan as Mirtha, Danny Pino as Tito along with Brooklyn Nine-Nine’s Stephanie Beatriz and Melissa Fumero as Pilar and Estrellita. Joe Manganiello, Alan Ruck, India de Beaufort, and Alex Quijano also appear in the season. 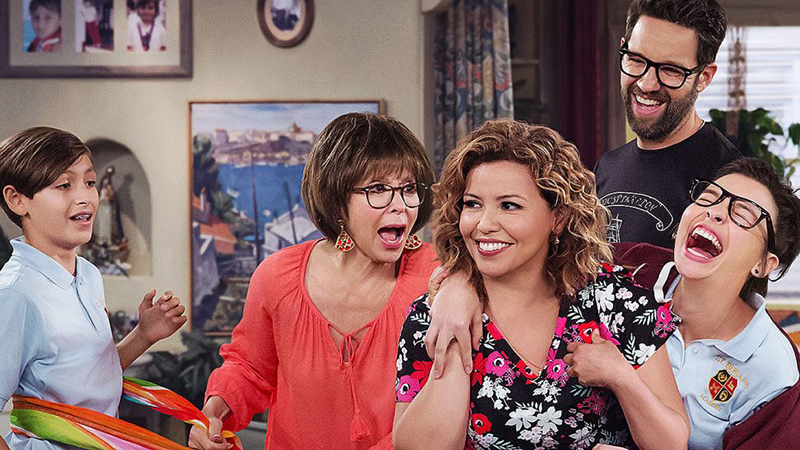 The returning cast includes Justina Machado as Penelope, Isabelle Gomez as Elena, Rita Moreno (Singin’ in the Rain, West Side Story) as Lydia, Todd Grinnell as Dwayne Schneider, Stephen Toblowsky as Dr. Leslie Berkowitz and Marcel Ruiz as Alex. The Executive Producers include Norman Lear, co-creators/co-showrunners Gloria Calderon Kellett and Mike Royce, Michael Garcia and Brent Miller. The show is produced by Sony Pictures Television for Netflix.